Another week of cooooooold weather! I'm glad I took these pictures when I did, because I'm pretty obsessed with this jacket. It's so unbelievably comfy and easy to dress down. I paired it with these studded booties which work perfect for a put together casual look! Now pass the blanket please, I'm freezing! i'm also dreaming of those studded chloe booties! love this outfit, so chic for winter. I love this look! Your coat is beautiful! Love this look, great styling!! You look amazing. Love your outfit!! Cute boots! Cute look, love the fur jacket with jeans and your accessories. Love this look - and the setting is so pretty! I know what you mean about cold - it has been in the single digits here. That coat is amazing! F21 has some great finds. Love the textures of this outfit. Those boots are awesome!! 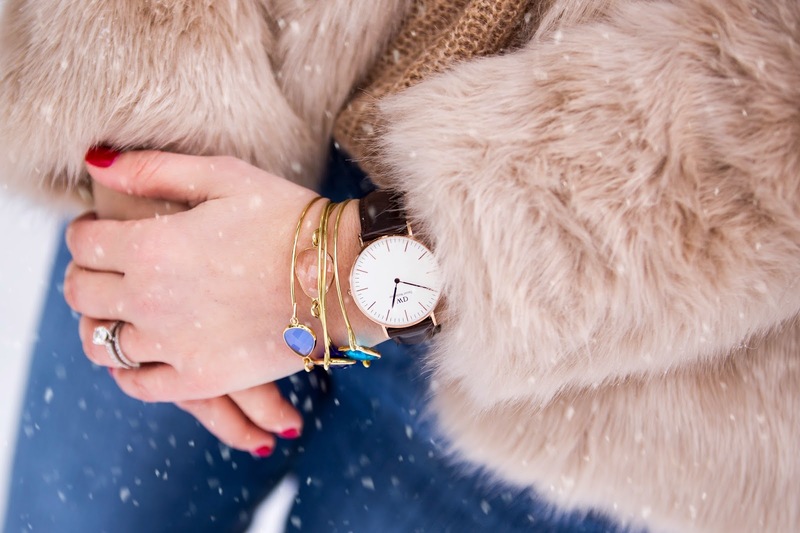 Love your DW watch and that faux fur coat looks so warm! 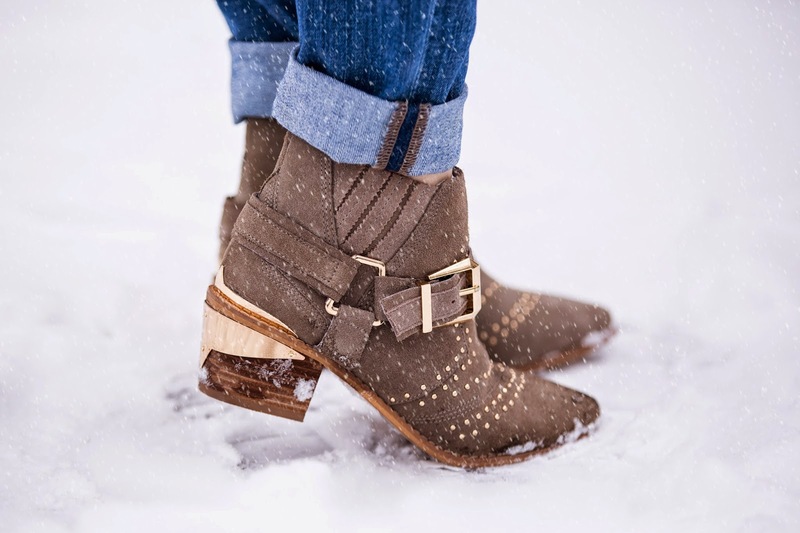 It hasn't snowed here in over a month, so no fun snow pictures for me ;) Love those boots, too! Umm...you look amazing!! I love that it's snowing! It looks cold but so pretty! Great jacket, and what a pretty blog! Glad I found you from the SITS linky. What a cute cute faux fur number and I love your booties too! It might be cold, but you look AMAZING!!!! Those boots are giving me life. Thank you for linking up with the Thrift Sisters. I love the shots in the snow. You look great in this coat, love the style and color.